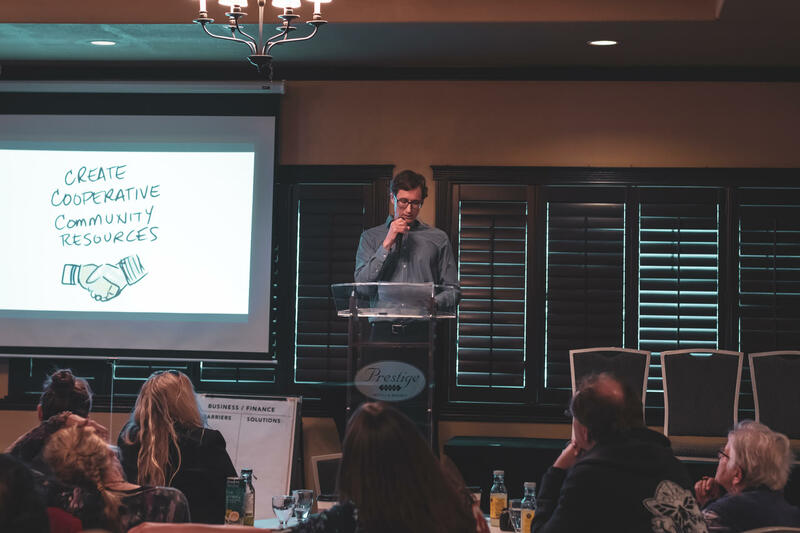 Produced by the Kootenay United Cannabis Association (KUCA), in cooperation with the Regional District of Central Kootenay (RDCK), the symposium was created to identify and discuss the challenges local cannabis companies face as they transition into the regulated market. Sixteen speakers shared recent developments in the regional cannabis industry, and discussed the economic impact of legalization and concerns with existing regulatory and legal parameters. Attendees were also given the opportunity to attend workshops that explored community-based solutions for transitioning to the regulated market. The sold-out crowd was welcomed by Brittny Anderson M.Sc., Councillor, City of Nelson, Alternate Director, RDCK, and Co-Founder of The Cannabis Conservancy, and Jim Leslie from the KUCA’s Board of Directors, who outlined the aims of the association and symposium. “The Kootenay Cannabis Symposium is vital to capture the voice of local stakeholders, and to educate government officials on what the regional cannabis industry needs to successfully comply with regulations set forth by the Cannabis Act,” said Leslie. The federal and provincial government also had a voice at the symposium, represented by Joanne Garrah, Director of Licensing and Security for the Cannabis Legalization and Regulation Branch at Health Canada; and Wendy Norris, Senior Policy Advisor at Cannabis Legalization and Regulation Secretariat. “To identify the challenges in moving to the regulated cannabis market, it was essential to engage both government representatives and local industry stakeholders," said Brittny Anderson M.Sc., Councillor, City of Nelson, Alternate Director, RDCK and Co-Founder of the Cannabis Conservancy. The KUCA was formed to advocate, educate and promote on behalf of the regional cannabis industry, and to support the transition into a thriving legalized cannabis economy. Off the back of the symposium’s success, the association aims to mobilize the data collected to create a holistic picture of local industry requirements. Images from the symposium are available on request. For more information, visit kuca.ca. The Kootenay United Cannabis Association (KUCA) was formed to bring a community perspective in supporting and advocating for the regional cannabis industry. The organization’s goal is to organize around member needs and support the transition into a thriving legalized cannabis economy. KUCA supports the right to a fair and reasonable transition into the legal market, supporting economic security and prosperity for the region. For more information, please visit kuca.ca.